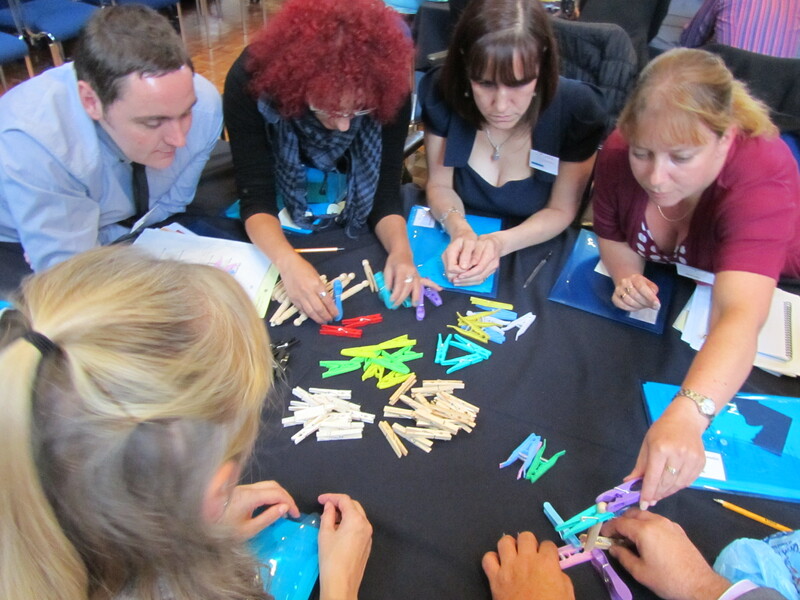 The highlight of my work year in 2013 was being luck enough to facilitate at the North West Academy. I enjoyed it so much I’m returning for this year’s event which starts on 30th September and runs for 4 exciting, inspiring and very creative days. Nominations for delegates are now open. I really didn’t know what to expect when I first got involved, but over 4 days last autumn I felt very proud to be part of such an innovative programme where I saw people’s confidence grow with my own eyes in such a short space of time. The group I worked with are still going strong and working on a project which hopes to improve some of our recruitment processes in the civil service. This year’s Academy is again a 4 day residential event and is aimed at AA to EO grades and equivalent. So, who is it for? I’d say that if you’re motivated, keen to bring change and are looking for a chance to work across the public sector, then this is for you. It also helps to have a pretty open mind. It’s not always conventional - there's a bit of a theme to some activities this year which I think are "super" - there's a clue there. The Academy will run from 30th September to 3rd October at the Lancashire Constabulary Training School in Hutton, near Preston. Information has already been sent out to senior managers in the North West, so look out for details locally or speak to your line manager. We’ll also be posting more details on this blog in the next few days. I hope to see some of you at this year’s event - we can be leaders, we can be heroes! I have been involved in the Academy since the very beginning (2012), I was part of the team that designed the content for the first Academy. I habe felt honoured and privileged to be part of such a hugely successful event, to watch the delegates grow throughout the week makes it all worthwhile. I would highly recommend anyone to attend as it’s a life changing event. Can't wait for this year's Academy. This will be my 3rd year facilitating and it's a great experience. I recommend anyone thinking of applying to do so, it's a packed week of hard but rewarding work. This is a great opportunity to work cross departments and help build your future. See you there! It's the Civl Service but not as you know it!There's something about this event that is infectious and inspiring. Where else do you get to hear about what other departments do and get to do some real work across boundaries both in the Civl Service and the wider public sector including the Dept of Health, Fire Service and County Councils? Can't wait to meet this year's delegates and start another new journey. This will be my first year involved with the Academy and I am looking forward to the challenge. If the enthusiasm of the facilitators from previous years is anything to go by it should be an enjoyable and rewarding event. As the delegate nominations start to come in it's starting to feel exciting! This is my first year as project manager for the North West Academy and we have some incredible sessions and speakers lined up so if you haven't already spoken to your manager about attending the Academy, do it now - it's going to be an amazing experience! I have been part of the CSNW Project Team since the beginning so this is my 3rd year. I love being part of the team - we all work hard and give 100% commitment to ensure the event is enjoyed by all. It is a great opportunity to enhance/build your skills to help map your future. I would highly recommend attending - it is a fantastic development event and a great opportunity to meet and work with people from many other Goverment Departments.